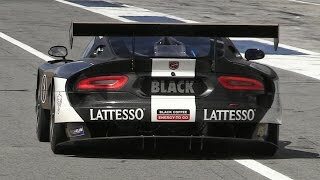 SRT has unveiled the all-new 2013 Dodge SRT VIper GT3-R, direct descendent of the high performance Viper GTS-R. SRT will return to the 24 Hours of Le Mans with the all-new Viper. 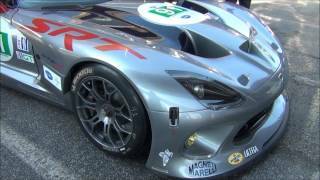 The new Viper GT3-R is priced from $459,000. 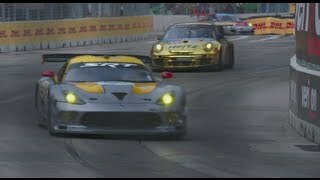 The 2013 Viper GT3-R is powered by the same V10 as the standard Viper (power figures are not disclosed for the race car). 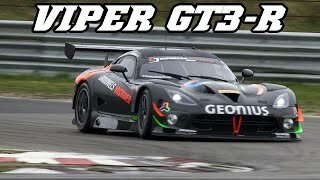 The Viper GT3-R is different from a normal Viper as it gets some special bits. The chassis has been equipped with a highly-efficient aerodynamic package to optimize handling. Other features include Xtrac six-speed sequential transmission with paddle shifters, six-piston front brake calipers with four-piston rears, lightweight wheels and a multi-disc race clutch.